You are dreaming about an unique romantic-weekend for two? 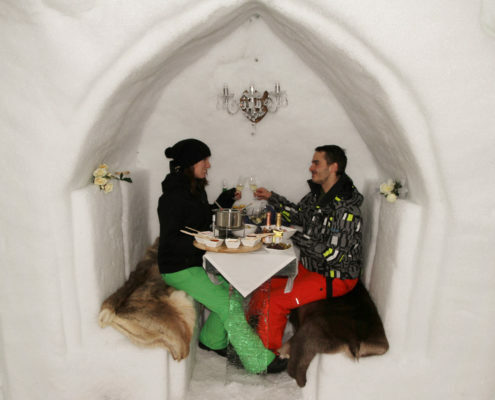 Make your dream come true in a mesmerizing world of snow and ice. 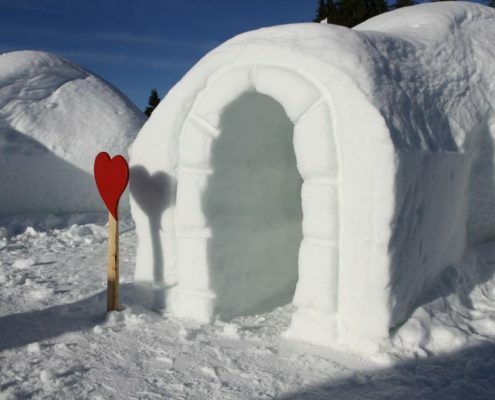 Stay in a beautiful honeymoon igloo suite – your private igloo at the ALPENIGLU® village, especially decorated for people who are in love! 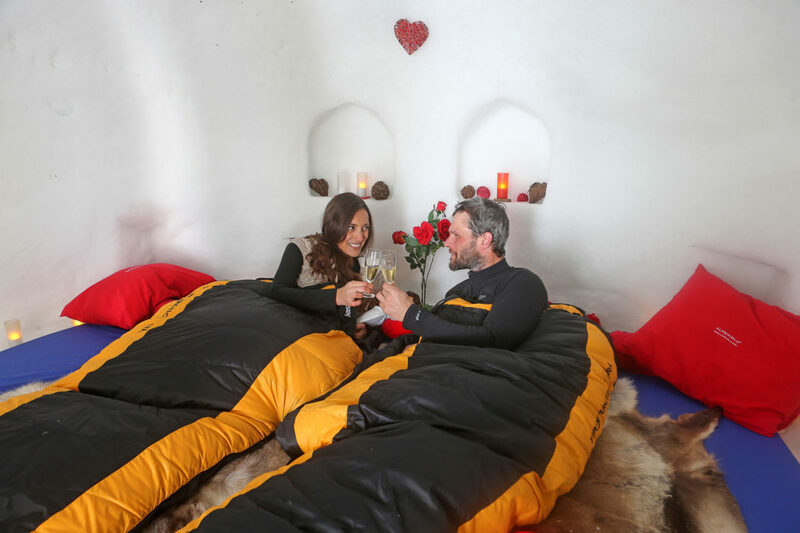 But before you get comfortable in your romantic igloo, an programme full of activites for the perfect “Eskimo feeling” is waiting for you! 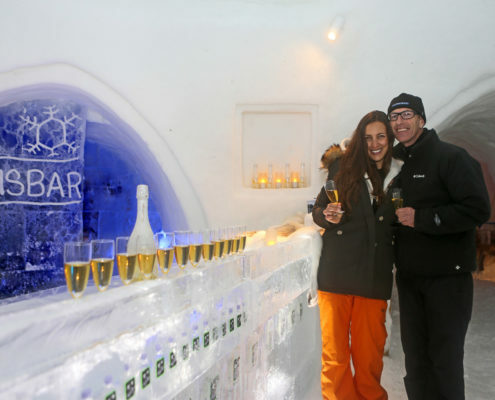 After our guides welcomed you, you can enjoy a delicious welcome drink at the igloo bar. It is a great way to enter the magic snow world and become a part of it. Enjoy the amazing ice sculptures during your guided tour around the ice exhibition ICE LAND. 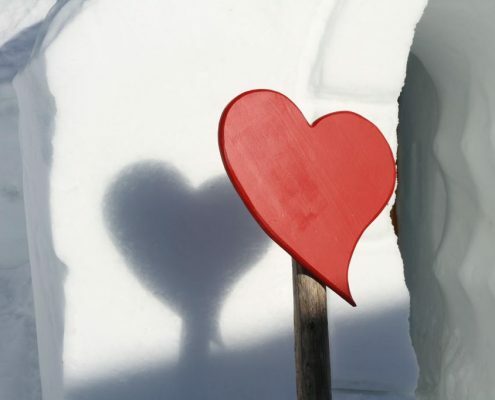 Especially the igloo church, integrated in the exhibtion, influences couples in love. 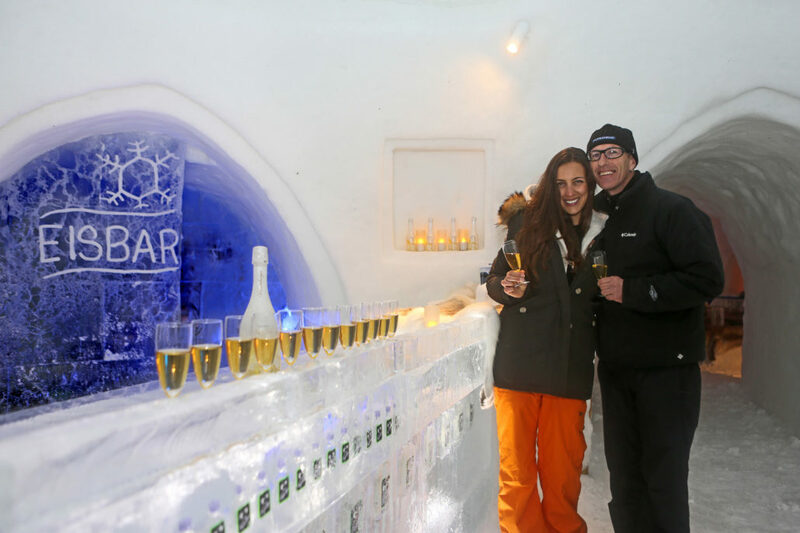 After that it’s time to get active: you and your partner can carve your own ice sculpture together – you will be amazed at your own artistic abilities! 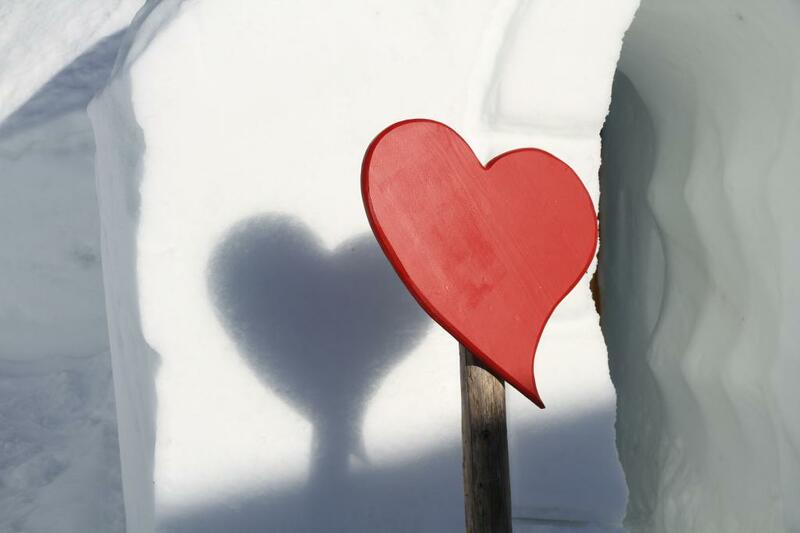 After working with snow and ice, the next highlight is waiting for you: spend some quality time together during the tasty meat fondue served at our huge ice table. 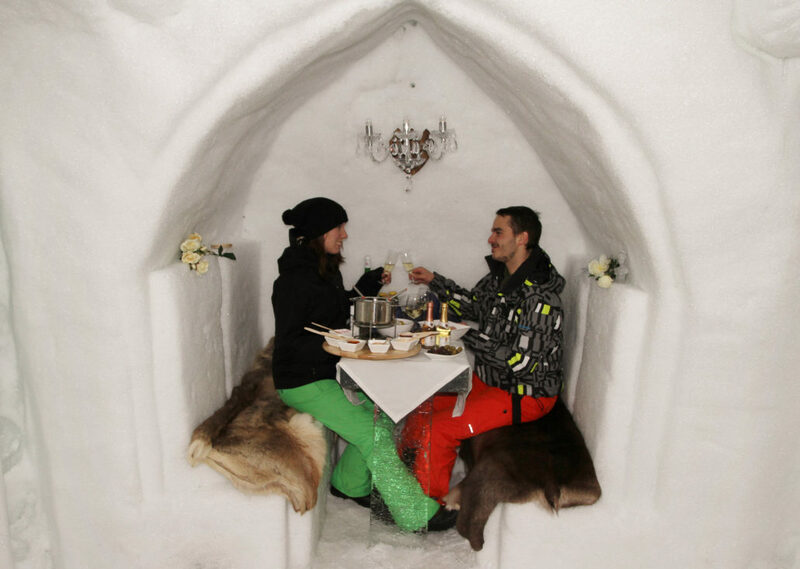 Or choose a romantic candle light dinner with a nice bottle of wine at a separate ice table! After your dinner for two it’s time for a mystical torch walk under the stars which ends with a romantic bonfire in the winter forest. 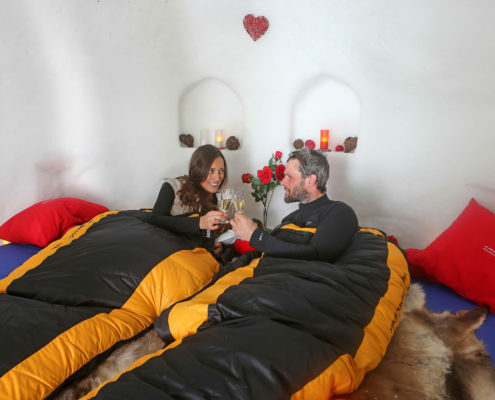 After all those breathtaking impressions you can relax in your romantically decorated honeymoon suite. 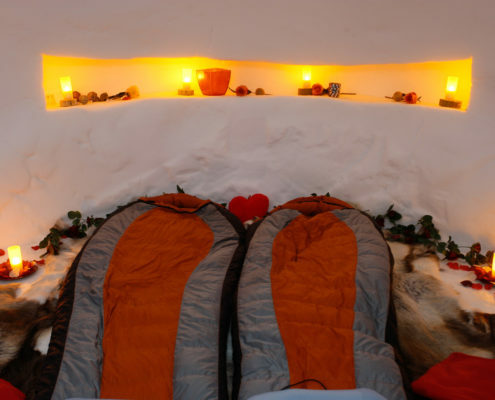 A warm sleeping bag, high quality snow-proof mattresses and cosy reindeer hides are waiting for you. 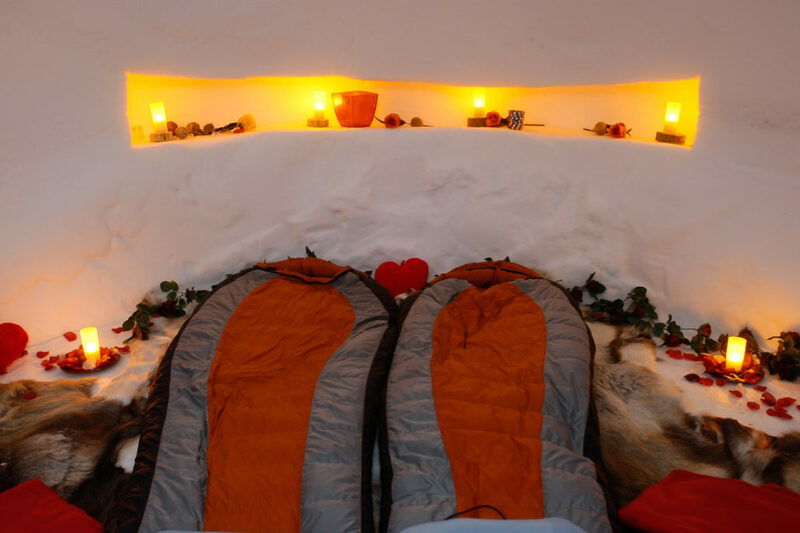 Under the white snow roof in the peaceful silence of your igloo suite, sweet dreams are guaranteed and your igloo night will be an unforgettable experience! After this spectacular and romantic night, enjoy a tasty breakfast at the close-by mountain restaurant before you start your homeward journey. 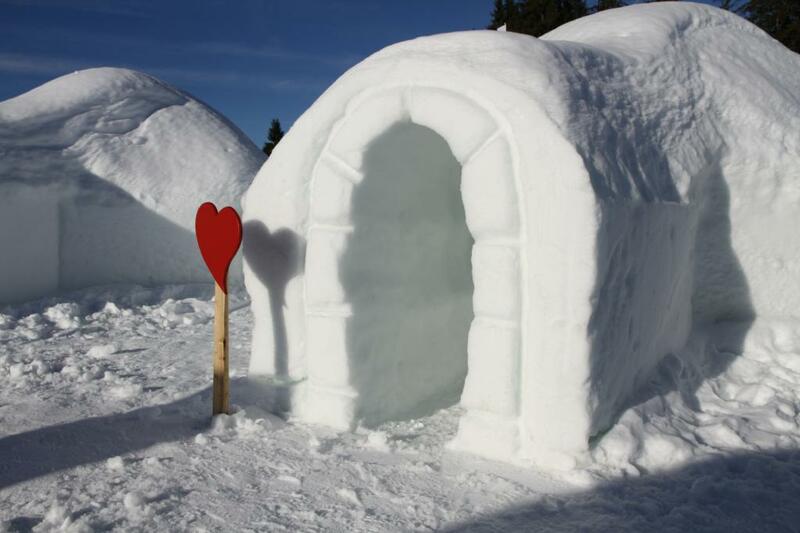 A VIP night in an igloo suite is a special gift idea. More information here.